Dear Customers, please read the following terms carefully before using our services. Every visit to our site, as well as purchasing, means that you have read these terms and that you entirely agree with them. If you find them unacceptable, please do not use this presentation. Pana Comp – Zemlja čuda Ltd. has copyrights on all contents (textual, visual and audio materials, databases, programmer code). Unauthorized use of any part of the portal, without copyright owner’s permission, is considered a copyright infringement and is subject to a lawsuit. Pana Comp – Zemlja čuda ltd., may revise these Terms at any time by updating this document. It is advisable to visit this site occasionally to be acquainted with the Terms that are valid at the time, because they are binding on you. Certain provisions of these Terms may be replaced by explicitly provided legal notices and conditions that are available on certain pages of this site. Pana Comp – Zemlja čuda ltd.
On behalf of Pana Comp – Zemlja čuda ltd., we undertake to protect the privacy of all our customers. We collect only necessary, basic data on purchasers/customers and data that are necessary for doing business and informing users in accordance with good business practices and in order to provide quality service. We provide customers with a possibility to choose, including the possibility to decide whether they want or do not want to be deleted from the mailing lists used for marketing campaigns. All data on purchasers/customers are strictly confidental and are available only to employees for whom these data are necessary for doing business. All PanaComp – Zemlja čuda ltd. employees are obliged to respect the principles of privacy protection. When entering data that are on a payment card, confidential information is transmitted through a public network in a secure (encrypted) form of the used SSL protocol and PKI system, as the current state-of-the-art cryptographic technology. The security of the data during a purchase is guaranteed by the ChipCard payment card processor Belgrade, so the complete process of charging is done on the ChipCard sites. Not at any moment is the information about the payment card available to our system. Participation fees at a particular conference/event – purchase and payment of selected pre-defined services to ensure participation in the particular event. The purchaser may choose to purchase more individual services, which may relate to accommodation in the offered facility where a particular event occurs, transfer from the airport to the venue of the event, and vice versa, as well as a purchase of a fee from the particular category, if it exists. Depending on the service specification for a particular event, the purchaser can select any individual service(s) he wants to buy. Panacomp – Zemlja čuda Internet shop services are available at panacomp.club. Only services are sold on this site. Sites as well as other services of this store can be used for your private needs without any fee for the usage. The first step in purchasing is choosing one of the categories of services we offer. Upon selecting an event from the category Congress, you are offered the option of choosing a service. The description of each event contains important information such as the date, venue and time of the seminar for which you are purchasing the registration fee, i.e. the right to participate. After you have selected the desired service(s), you need to confirm or add to the consumer basket by pressing the Add button. The next step is to check the contents of your shopping basket and then select the payment method. 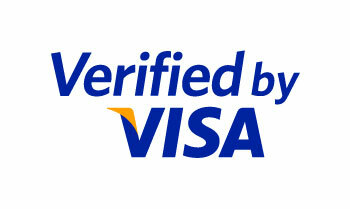 If you choose to pay by credit or debit card, you will be redirected to the secure site where you enter your card data. In both cases, when paying with a card or bank transfer, the specification of the ordered service(s) as well as the bill for the executed payment by card will be sent to your e-mail address that you left when entering personal information. The account contains all the necessary information so that after ordering, you can make a payment through a bank transfer – by giro. An important note about bank transfer is that it is necessary to settle the bank transfer fees, i.e. it is necessary to deposit the total amount from your account to our account. An invoice that has arrived at your e-mail also represents a voucher on the basis of which the service will be performed, and it is necessary to take it with you to the event for which you have applied. All payments will be made in the local currency of the Republic of Serbia – dinar (RSD). For the informative overview of prices in other currencies, the middle exchange rate of the National Bank of Serbia is used. The amount for which your debit card will be debited, will be expressed in your local currency through a conversion at the rate used by card organizations, which cannot be known to us at the time of the transaction. As a result of this conversion, there may be a slight difference from the original price listed on our site. Thank you for your understanding. Prices are based on the business policy of the organizer and can not be the subject of a complaint by the customer/purchaser. In the event of the cancellation of the service and the refund of funds to the customer who previously paid by some of the payment cards, in part or in full, and regardless of the reason for the return, Pana Comp – Zemlja čuda litd. is obliged to make a refund exclusively through VISA, EC / MC and Maestro payment method, or by giro if the service was paid in this way. In the event of a service cancellation, the user is obliged to notify the organizer in writing to the e-mail address mice@panacomp.net. Refunds are made in accordance with the conditions and deadlines for canceling the individual service, which are described in more detail on the service selection site. All complaints can be sent by e-mail to mice@panacomp.net, or by telephone +381 21 466 077. PanaComp – Zemlja čuda d.o.o.